The star match of day 23 of LaLiga Santander will be on Saturday, February 9 at 4:15 p.m. at the rojiblanco stadium. The derby between Atlético and Real Madrid of the twenty-third day of LaLiga Santander in the Wanda Metropolitano will be played on Saturday, February 9 at 4:15 pm, , this Friday has been confirmed by LaLiga, while the duel between Athletic Club and FC Barcelona in San Mamés will be played this Sunday at 20.45 hours. The day will open on Friday 9 at 9.00 pm with the match between Real Valladolid and Villarreal, and will close on Monday with Deportivo Alavés-Levante ( 21.00 hours) . - HOURS OF LA JORNADA 23. Real Valladolid - Villarreal 21.00 hours. Getafe - RC Celta 13.00 hours. Atlético - Real Madrid 16.15 hours. Espanyol - Rayo Vallecano 18.30 hours. Leganés - Real Betis 20.45 hours. Girona - SD Huesca 12.00 hours. Valencia - Real Sociedad 16.15 hours. Sevilla - SD Eibar 18.30 hours. 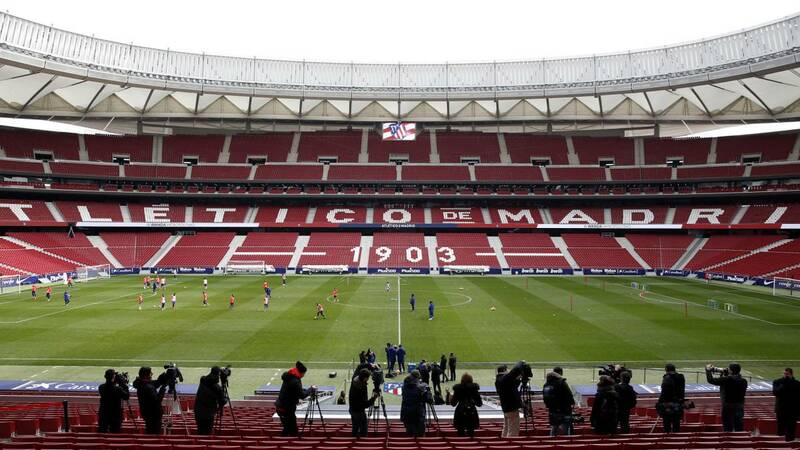 Athletic Club - FC Barcelona 20.45 hours. Deportivo Alavés - Lift 21.00 hours.